Konnichiwa! My name is Jac. Welcome to Native Camp. Learning English is challenging. No matter how many mistakes you make or how slow you progress, you are still way ahead of everyone who isn't trying. Don't worry, I'll help you learn English in an easier, interactive and fun way. I will help you enjoy while learning. I can't wait to see you in my class. 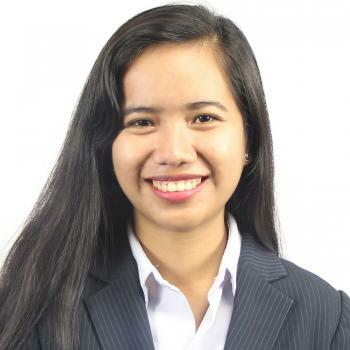 Teacher Jac is a graduate of Bachelor in Elementary Education major in Content Education at Cebu Technological University. She loves to teach. She is also patient in handling students. She is a good listener and an understanding teacher. Teacher Jac has a great personality. Thank you for answering my maraming questions like questions about Mr. Alcasid and so on. I really appreciate it! See you next time! Why can't we stop laughing? What makes us laugh too much? Thank you for always spending good time with me. I'm happy that I can learn English from you in a very fun way! Take care always,Jac. See you next time.